Yesterday was the first time that I have yelled "Freebird!" at a concert and the band actually played "Freebird". That's because I was watching the Lynyrd Skynyrd concert at the New York State Fair. That is usually my go to joke when I am at a concert like Symphoria or a band of that nature. It really wasn't funny yesterday because the band actually played it. I may have to tuck that joke away for a while. Wildcat Marching Band is Loud and Proud: A band that did not play "Freebird", although given enough time they probably could, was our Marching Band. 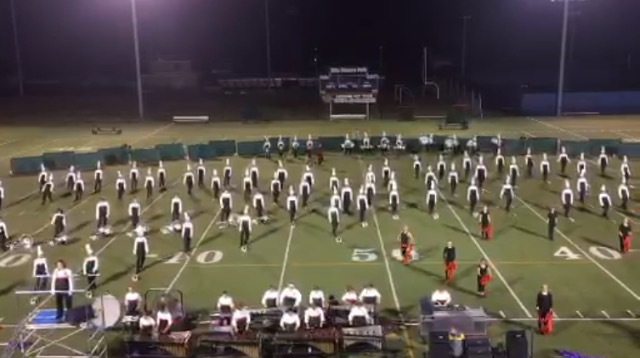 They did, however, confidently and competently, reveal the Marching Band show for the season on Friday night at our annual Marching Band Preview. I have had a chance to visit several Marching Band practices this year and there is a positive energy with this group. The way the students are marching looked different to me, and that is because they are marching differently; especially their footwork. The sound is "loud and proud" as I like to say, and the color guard is going to provide some nice flare to the show. I am looking forward to their first show! Fall Sports Have Kicked-Off: Sports are in full swing! Our football team gets an opportunity to open the season on a positive note at the Carrier Dome on Saturday. I also like the energy and determination of that group this year. Cross country, golf, tennis, volleyball, soccer, and swim are all poised to represent us well so check out our schedules and come out to support the Wildcats! New School Year, Already? To me, today marks the beginning of the school year, and I am in school year mode. We have freshman orientation followed by locker night, kindergarten orientations (they will be the class of 2030 believe it or not), and later this week I welcome all of our employees back for their opening day, followed by professional development. I am looking very forward to a successful school year. Support All People: On a serious note, I did want to address where I stand personally, and as your superintendent, on the recent movement to disqualify transgender people from entering the military. I was raised with the understanding that as a human, I have no right to judge another human against my own color, background, upbringing, preferences, or beliefs. People are people, and we are all on our own journey of life, hopefully working together to leave behind a world that is better than we had it, for our children, and our children's children. At the same time, I have spent my entire adult life working with children and helping ALL children to do whatever they want to do when they graduate from high school. That includes college, the workforce, AND the military. Taking away the choice of ANYONE to serve our country completely goes against everything that I believe in and work for. I am passionately supportive and protective of the rights and opportunities for ALL students, regardless of gender, orientation, culture, color, or beliefs. I will be using my voice to reverse the decision to disallow transgender people from entering the military. At the same time, I will be meeting with ALL of our student groups personally so they know that I have their backs, because I always have and always will. Period. I still hope to get to the State Fair a few more times. Feel free to stop and chat! Thanks and enjoy the week. Everyone has their ideal weather; and the weekend we just had is perfect for me! Temperatures in the mid-70's, light winds, and sun. Even the quick burst of rain on Friday night wasn't too bad because it broke the humidity. I had a hard time getting any work done because all I wanted to do was enjoy the outdoors! I wonder how productive I would be if I lived in southern California where it is this kind of weather EVERY day. Bacon vs Blog Posts: I know that you are probably wondering two things: did I go to the Bacon Festival and does anyone else besides you read my blog over the summer. Excellent questions. First, if there is bacon, I am there. In the past I wanted bacon to be its own food group. Now that I am eating healthier I have backed off that wish, but it is hard to get me away from any place that has bacon ice cream. I think some of you are like minded because most of the vendors sold out of their goods by mid-way through the afternoon. Hopefully they will repeat the event next year and will bring more bacon! The blog does get read in the summer months. I have been checking the statistics because I don't want to post information that no one is reading, and there are about 2,000 people reading the blog during the summer versus the 3,000 or more who read during the school year (the most we have has is 6,000 readers). Thank you for taking the time! Technology in our Schools: Our technology crew has been working very hard to unbox, inventory, program, and set up the 3,641 Google Chromebooks that we received as Phase I of the federal Smart Schools Bond Act. I had given them a hard date of October 1 to have all of the equipment into the hands of students, and judging by the work they put in last week, it isn't going to surprise me if the computers are ready to go by the start of school. You might be wondering if we are purposely headed towards a "1:1" computer environment. The answer is NO. We will get to a "1:1" environment by the end of Phase II of the Smart Schools Bond Act later this year, but the real reason why we are implementing so much technology is to engage students. It is no secret that modern-day students live in a Snap Chat, Instagram, Facebook, and Twitter world. We need to bring their education into that environment to further make connections, prepare them for life after high school, and engage their creative sides. Our teachers are receiving professional development on how best to strike a balance between using technology in the classroom in conjunction with regular excellent teaching. Our grades two through five are closest to this balance so they will be the first recipients of the Chromebooks. Our K through one students will be using technology (as they already have been), in center time. Our students in grades six through twelve will have many "Chromebook carts" to use. Teachers who really want to extend student learning can apply for additional equipment to use on a more frequent basis. I am excited for this new initiative, but at the same time I will still be looking for solid teaching and learning when I visit classrooms. I think you will be impressed at open houses. As you have heard a billion times by now, don't look directly into the eclipse today. Also, do not eat more than two Gianelli sausages in one sitting at the Fair. Trust me! It has been nice to finally get a stretch of decent weather. My wife and I went to the Goo Goo Dolls concert on Friday, and then we spent Saturday on Keuka Lake. Surprisingly, my golf game is finally back to where I can actually call myself a golfer again, instead of a "hitter of golf balls", although that will be short lived as school events begin to get mixed back into my evening work schedule. I have to tell you that we have a LOT of very generous people and organizations in this community. During the summer, I spend a lot of time working through contracts, ordering, planning, hiring, scheduling, and preparing. I also take the time to check in with many of the people, companies, and organizations who help support our students. 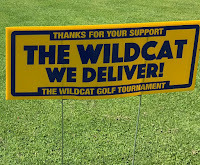 The Wildcat Golf Tournament Helps Fund Programs: This year, we have a few more very generous people to thank beginning with the locally owned and operated "The Wildcat". 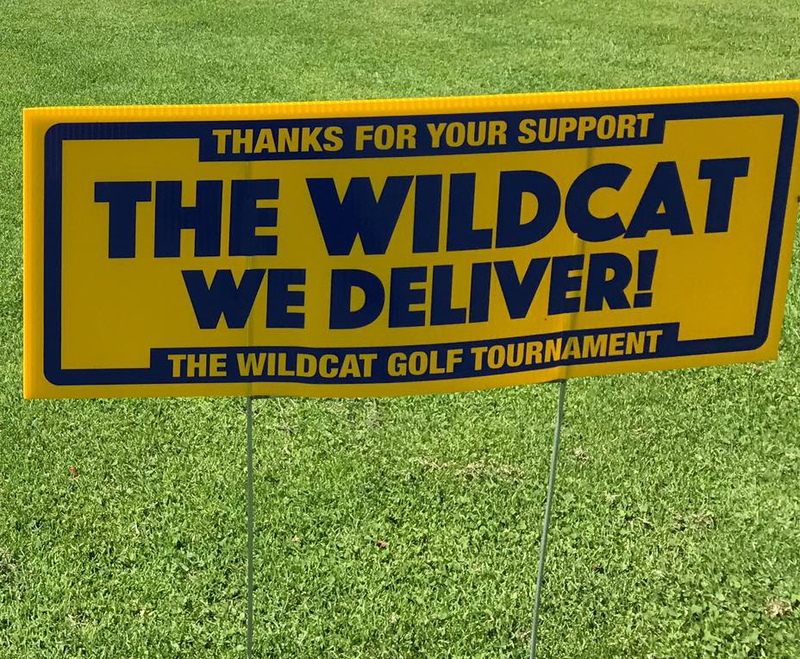 Thanks to a golf tournament sponsored by owners Dan and Heather Thome, our student activities funds will receive a shot in the arm of $3,200. This money will go to the After-the Ball All-Night Party held after the Senior Ball, the Respect and Responsibility Club (which puts on community favorite events like the Culture Fair and the Halloween Festival among other things), and a fund to help families who struggle with the cost of renting musical instruments for our Fine Arts program. Many thanks! 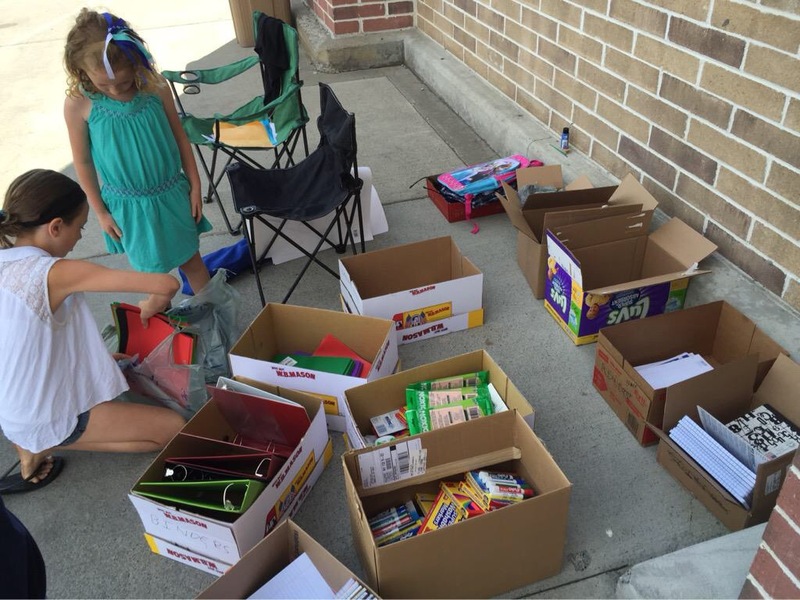 Annual School Supply Drive: The West Genesee PTA/PTO District Council is once again sponsoring a School Supply Drive. The purpose is to provide free school supplies for students in need of assistance who attend any school in the West Genesee School District. 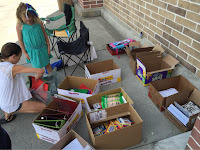 Our students collected school supply donations from the community at the Walmart in Camillus and for those in need of assistance, requests are still being accepted up until Saturday, August 19, by clicking here. Township 5 Partnership: At the same time, managing partners of Township 5 have invited our students to sell raffle tickets at their Wednesday Concert Series with the proceeds going to the After-the Ball All-Night Party. They were so pleased with how our students behaved and presented themselves at their last event, that they are exclusively working with West Genesee. Talk about Wildcat Pride! State Fair Update: We also worked with a local business owner who has a large presence at the New York State Fair, and he hired 120 of our students to work at his restaurant stand, lemonade stands, and water stands throughout the State Fair. Again, due to how our students behave and present themselves, they were given first access to those jobs. Good stuff! 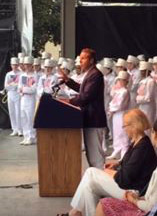 Also, while on the topic of the New York State Fair, our Marching Band was asked again by Governor Cuomo to welcome him at the ribbon cutting of the Fair, which will be at approximately 9:30 a.m. on August 23. Very cool! Providing Meals: Lastly, we have developed a new and wonderful working relationship with New Life Ministries. They have started a "Power Pack" program to help supply our younger students who do not get consistent meals at home with ready to eat lunches and dinners, as well as food for the weekend. We did a trial run in the spring and quickly serviced sixty families. We met and are now going to work together to provide 100 children with meals for home and weekends. We are truly fortunate to have such great community partners. Other Great Things are Happening: Other than that, not much is happening (insert sarcasm here). The Marching Band is working hard, some fall sports officially begin today, and there have been some great engineering camps, science camps, CMS students in the NYS Honor Choir, and orientations taking place; so we are busy! As we get closer to the beginning of school, I will use future posts to let you know our goals for the school year and how we can continue to work together for our students.